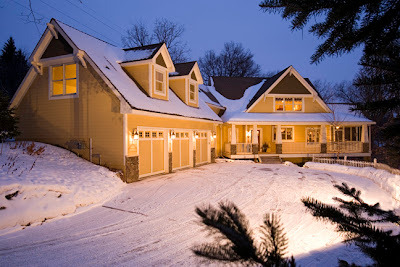 This week I have the honor of marketing a beautiful home in Eagan, Minnesota. Priced at $1.1 Million, the custom built home sits on two wooded acres and Angel Pond. Featured in the 2007 Corvette Calendar, the large boulder lined drive winds down to the home site and provides unique privacy for the home owner. One marketing piece I develop for my luxury home sellers is their own website, highlighting interior and exterior photos of the home, as well as important documents, web links, floor plans, etc. You can view this luxury home’s website, which I am still in the process of completing, here. If you are selling a luxury home this is the exact type of markeing you want to have done. A website to show the homes features to potential clients prior to them visiting the property. This is truely a beautiful looking home and on a pond sounds lovely. Description of the property can be just as important it drew me in and it will a potential buyer. So when hiring a realtor as how do you plan to market the home and then follow up and view the site and flyers and mls for anything that may not be correct or missing. The description of the home is very important and I am in the process of writing one for the website I developed for the home. After I produce a piece of marketing material, I let the client look it over for any errors. It is really important, as a Realtor, to keep the client in the process at all times. It is important to me to contact my clients at least once a week. Never do I want someone to say they never heard from me!